The end of the British colonial rule, Indians gained freedom in 1947. It leads to a creation of two independent states - Hindu-majority India and Muslim-majority Pakistan. When India saved from slavery, our first Prime Minister, Pundit Jawaharlal Nehru had raised the tricolor National Flag at the Red Fort in the national capital, New Delhi. This custom still follows on every year. 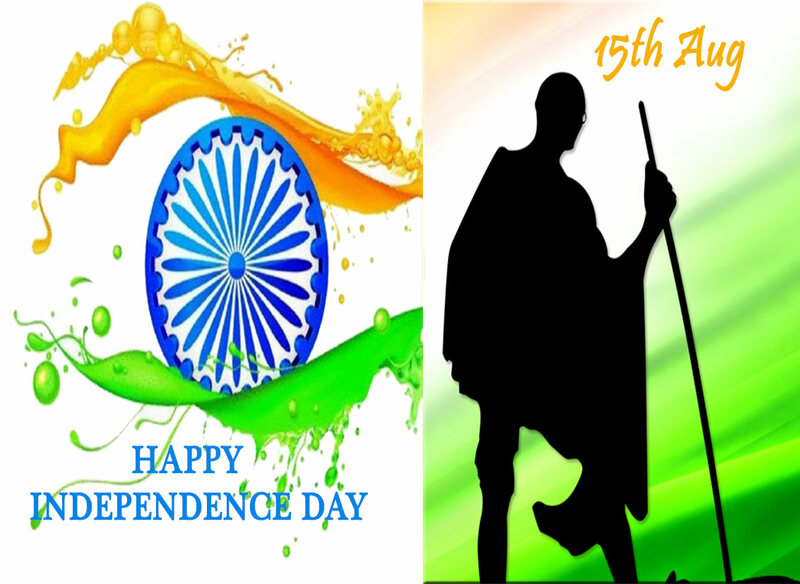 Independence Day, on August 15, this is commonly celebrated by raising flags in schools and colleges and at government buildings. India's prime minister raises India's flag and there will be a speech at the Red Fort in Old Dehli. The major government buildings are decorated with strings of lights and the tricolor flutters from homes and other buildings. Print and online media may have special competitions and program to promote this eve. Most people may spend the eve with family members or close friends. They may plan a one day picnic or go to a film or eat lunch or dinner at home or in a nearby restaurant. Other people engaged with kite flying or sing or listen to patriotic songs. We will find out some time to spend with our kids. Our small kids, as well as school going children, must know about the struggles of our freedom fighters to save our country from slavery. In India millions of people live together they have different religion, cultures or traditions. But everybody celebrates this special day with great joy. At this special occasion, as an Indian, we should feel proud and keep ourselves as a loyal and patriotic in order to save our motherland from any type of attack from other countries. You can find out the special programs on this eve at Indiaeve. Celebrate this occasion with your family members and friends.